Five years have passed since Benzak Denim Developers was established. 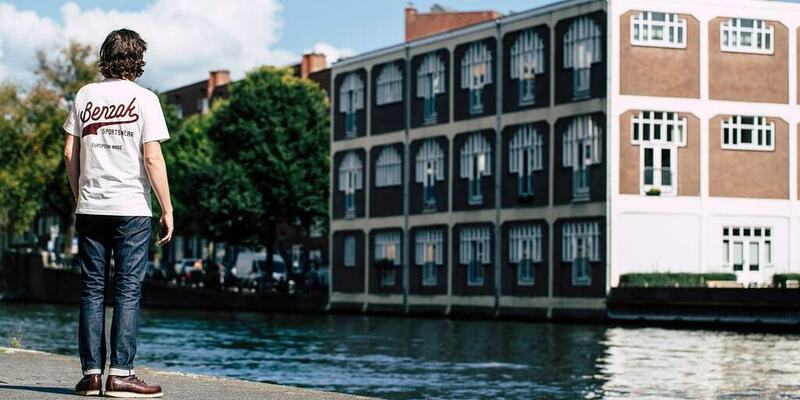 Owner and creator, Lennaert Nijgh, has transformed his passion and vision into a brand that is known for high quality denim with superb attention to detail and dripping in a dark indigo. During this time, Lennaert has been committed to designing and developing what should be regarded as a well-balanced and grown-up denim brand. 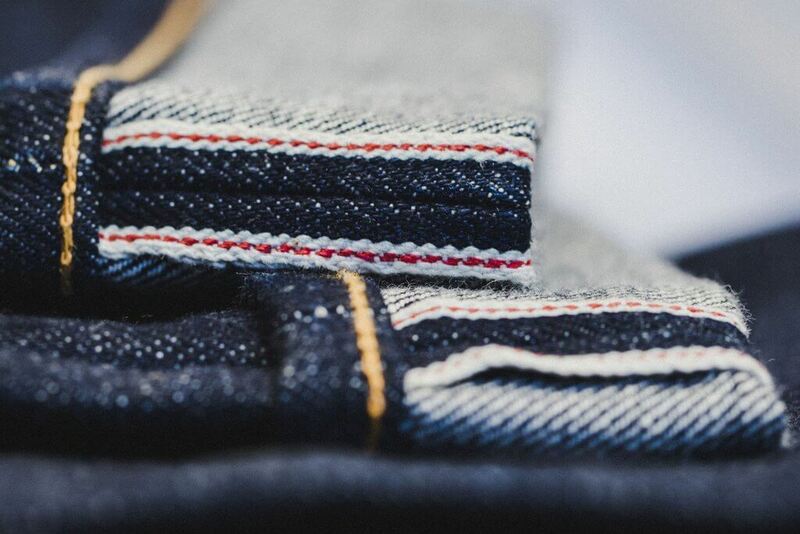 In just five years, Benzak Denim Developers has managed to make its mark within an already crowded raw denim market. But when we consider the quality and production of Benzak garments, this is hardly surprising. We’re probably biased over here at Robin Denim, but what really impresses us about Benzak, is that Lennaert has created the brand all by himself. We spoke with Lennaert to understand his journey and what have been some of the highlights from the last five years. We also picked his brain about some upcoming collaborations for the fifth anniversary of the brand. Robin Denim (RD): Benzak Denim Developers is celebrating its fifth anniversary – congratulations! Looking back on those five years, what is the first thought that comes to mind? Lennaert Nijgh (LN): That I launched the brand with only two jeans and now look at the collection! I feel that this project, which was born from my own passion for (Japanese) denim, has now matured into a brand that not only stands the test of time, but is also able to compete with other brands I truly admire. RD: What have been some of the highlights from the past five years? LN: So many! 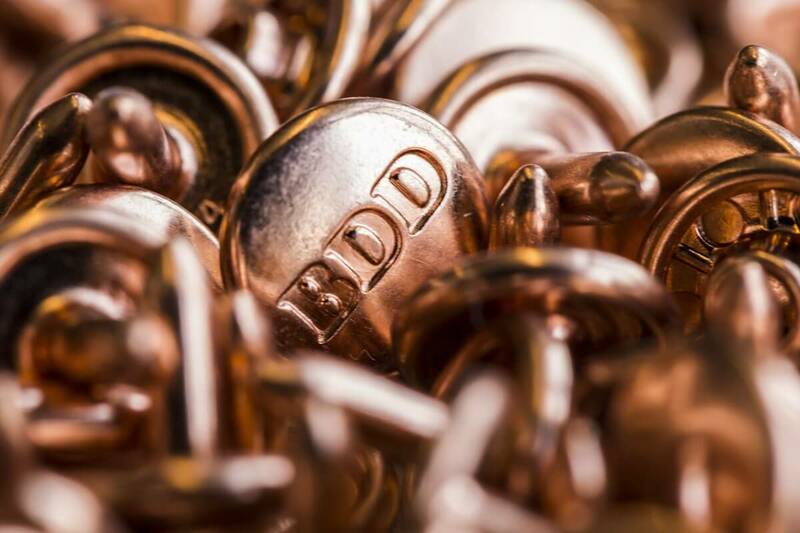 The first successful crowdfunding campaign (and three more afterwards); the first trip to Kojima to visit the factory; our very own custom-made Japanese denim; the launch of the EU line and the new studio we recently moved into, to name a few. But most of all, that I have been able to be fully independent, without investors, and have been able to make a good living from the things that I love to do. RD: Did the first five years go exactly as planned? Or did you need to adjust your plans? If so, what were some setbacks and how did you deal with them? LN: When we take a close look at the numbers – as forecasted in the business plan five years ago – it’s pretty damn close to where I am now. My intentions were to be financially independent with BENZAK by the beginning of 2017; in fact, this happened in October 2016. But on a product or collection level, I never plan for more than three years. Things change too much. For example, when I launched the first styles in 2013, I did not plan to release the EU line in 2016. This was an idea that evolved over the years. RD: Did your approach to being a denim brand change over the last five years? LN: Although I still try to create what I like myself, I have learned to listen to my customer as well. A good example of this has been the introduction of the EU line. When I started the brand I only wanted to produce in Japan, but after a few years I realized that there is so much more. I was a bit blinded by my own passion. Now I have found a great balance in the product offering. I’m even breaking in a pair of EU jeans now myself (B-03 TAPERED 14 oz. double indigo selvedge) and I love ‘em! RD: You have built a strong and solid foundation for Benzak in the last five years. What are your plans for the next five? LN: I have always built the brand in a slow but natural way, and I intend to keep it that way. I plan to hire two people next year, because if I want it to keep growing, help is needed. We will also expand the EU line with more products. We need to increase the number of points of sale, but I’m not planning to open my own shop any time soon. I think others are much better and I prefer a multi-brand environment for now. And we will keep creating awesome new jeans of course! RD: As far as we can see, Benzak has a huge and strong fanbase. How do you communicate with admirers of the brand? And how do they influence your collection(s)? LN: I don’t think the fanbase is huge, but it’s definitely strong and very loyal. We have a lot of regular customers, but I also love to connect with new ones. We receive lots of emails with questions about the product, most commonly about the sizing. I personally answer all e-mails and try to help out as best as I can. It’s the positive reaction that really does it – when someone does not expect me to answer their message personally. When developing new stuff, we always have our loyal fanbase in mind to start with. ‘What would they want or need from BENZAK?’ Usually that answer is quite easy, because most of the times it’s what I want myself, haha! But we are always open to new ideas, so suggestions for new product are very welcome. We received some requests for heavier fabrics and I can already tell you that a 22.5 oz. fabric is coming next Winter. RD: Are there any special items coming up to celebrate the fifth anniversary? 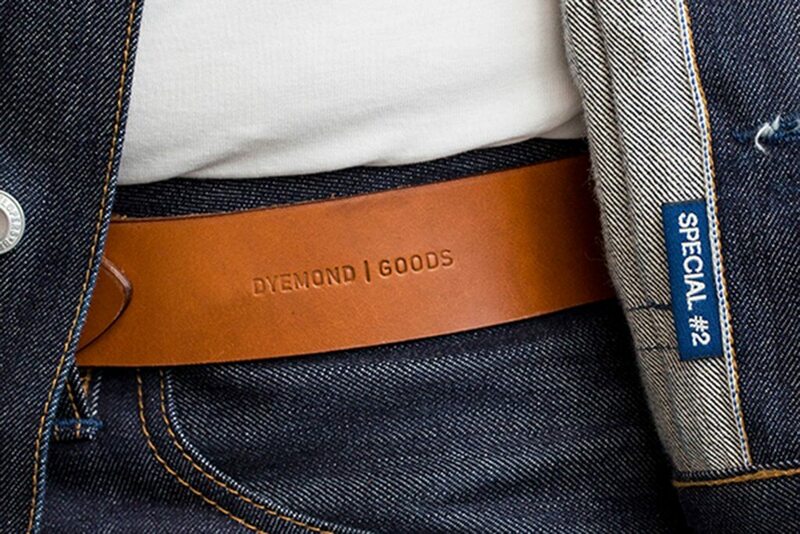 LN: We have already released a collaboration with Dyemond Goods (a special leather belt) and together with Candiani Denim we have developed the ‘special #2’ fabric to celebrate our five year anniversary. For the coming months we have another three collaborations planned, which makes it five in total. This includes a pair of jeans with Tenue de Nimes (as they were our first retailer five years ago), a natural indigo dyed tee with Blueprint Amsterdam and a special pair of sunglasses with Johnny Loco (a befriended bicycle and accessory brand from the Netherlands). RD: Okay, so we need to keep an eye out for those upcoming collaborations! Last question; what do you expect from the next five years? What will Benzak look like in 2023? LN: Well…I know what turnover we will make in 2023, but I’m not gonna tell you that! As for the company, BENZAK will consist of a small team with a maximum of 10 people, with a broader product range than we offer now. We will still be based here in Amsterdam and maybe we will be running a little flagship store/hangout by then. I really don’t know in which direction the collection will develop yet, but the only thing for sure is that I want to keep the focus on my passion: unwashed, selvedge denim.